Whatever time of day, refreshments are always welcome! 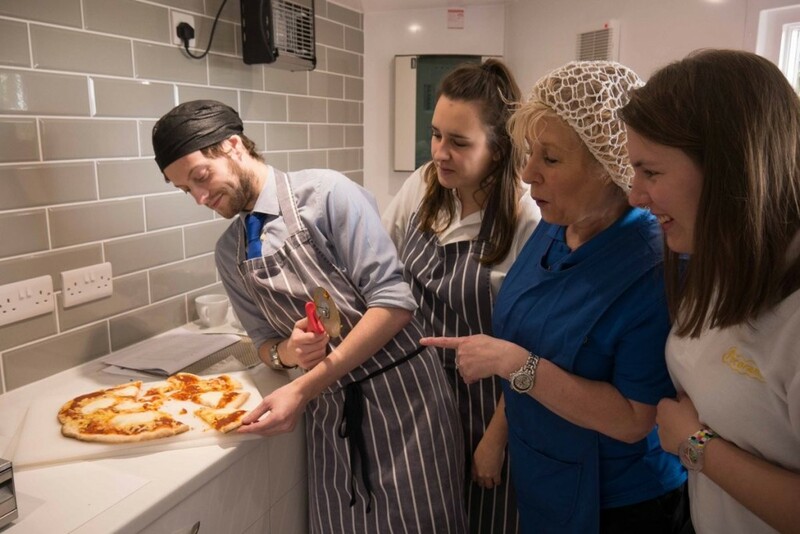 Please note: 23rd-24th April Food orders will be taken at the Play Station and not in the Restaurant due to exciting essential upgrades taking place. Our Swiss chalet-style lodge is home to the Garden Room Restaurant where a good selection of delicious, locally sourced homemade meals, snacks and drinks are available. *Menu is subject to change, depending on seasonal produce availability. Choice of local meats each week; roast chicken, beef, pork or lamb. Served with all the trimmings; roast potatoes, parsnips, cauliflower cheese, vegetable medley and plenty of gravy. A selection of delicious homemade desserts including; crumbles, roulades and brownies. Vegetarian options are also available. For information on allergens, please contact us or ask a member of our catering team. 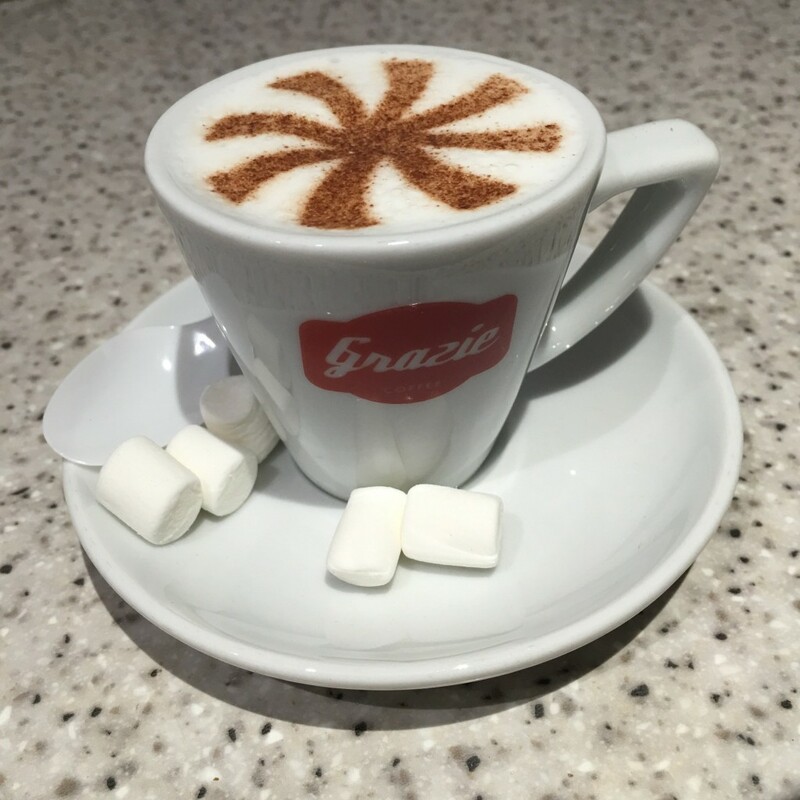 Enjoy fantastic barista-style coffee and homemade cakes to keep up your energy. The perfect pit stop for families during a shower, where the kids can let off steam in the soft play area and the adults can keep an eye on them sitting down with a hot drink. Step back in time and enjoy this fun yet intimate setting for a spot of good tea, coffee and delicious homemade cake. The Orion will open for the season on 1st April until 3rd November. Please telephone prior to visiting as opening days and times are subject to change. This beautifully preserved Orion Pullman Car was part of the Golden Arrow train that used to run from Victoria Station, London to the Channel coast. Lovingly refurbished, it stands proudly now at Pecorama’s own Beer Victoria Station. It is ideally suited for those wanting to reminisce in the past and soak up the nostalgia – not suitable for very young children. Our menu consists of a Cream Tea, Afternoon Tea or High Tea with a selection of cakes and sandwiches available for the latter. Advanced bookings are required for the High Tea. Please telephone for more information or to make a booking. With a full team of catering staff on site, we can respond to make your special day full of culinary treats. 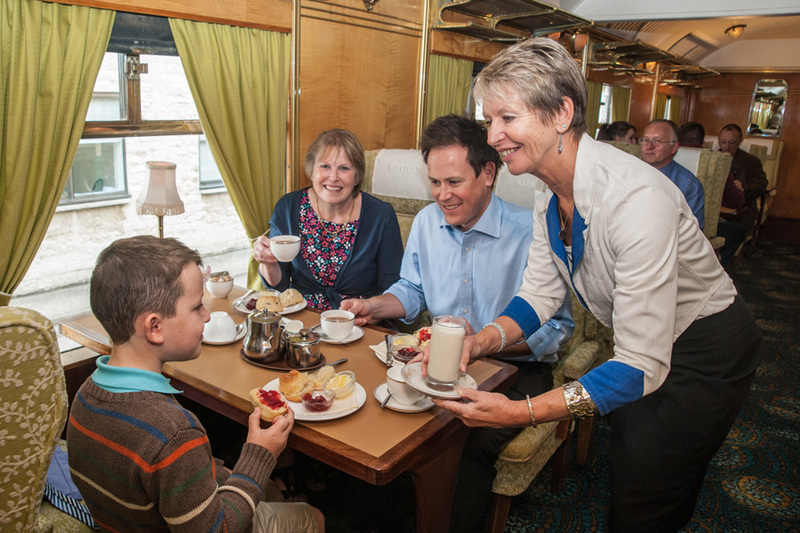 Whether it’s afternoon tea in the Orion Pullman Carriage, a birthday buffet, a picnic hamper or a fancy sit-down meal, we can create a menu to suit the occasion. Contact our tourism team who would be happy to discuss your requirements. The latest addition to our catering facilities. 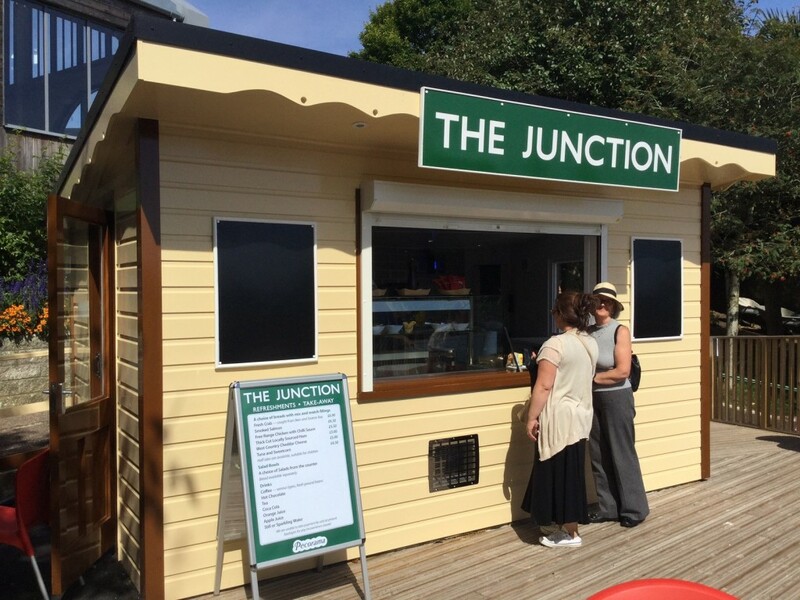 ‘The Junction’ is a new catering point further expanding our selection of refreshments giving customers a broader choice of food and drink. Upon opening for the 2017 season The Junction will become an outlet for homemade Pizzas and Tapas. For information on allergens, please contact a member of staff. Enjoy an ice cream in the sun or buy your tickets for an entertaining round of crazy golf here! Located alongside the Pecorama crazy golf course, take a break at this the lovely undercover refreshment area and treat yourself to local Devon ice-cream! Classic Soft Scoop Ice Cream - With or without a flake!